Manufactured from high grade steel with a tough plastic coating this adjustable height perching stool is extremely heavy duty. Both the arms and seat are padded with the latter being angled for improved posture. Manufactured from high grade steel with a tough plastic coating this adjustable height perching stool is extremely heavy duty. 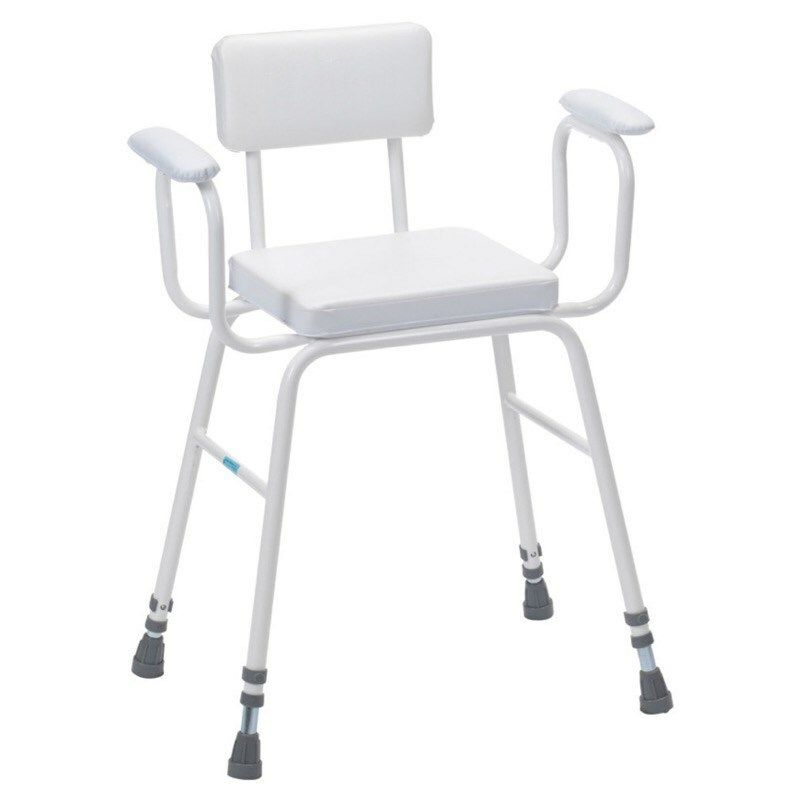 Both the arms and seat are padded with the latter being angled for improved posture. 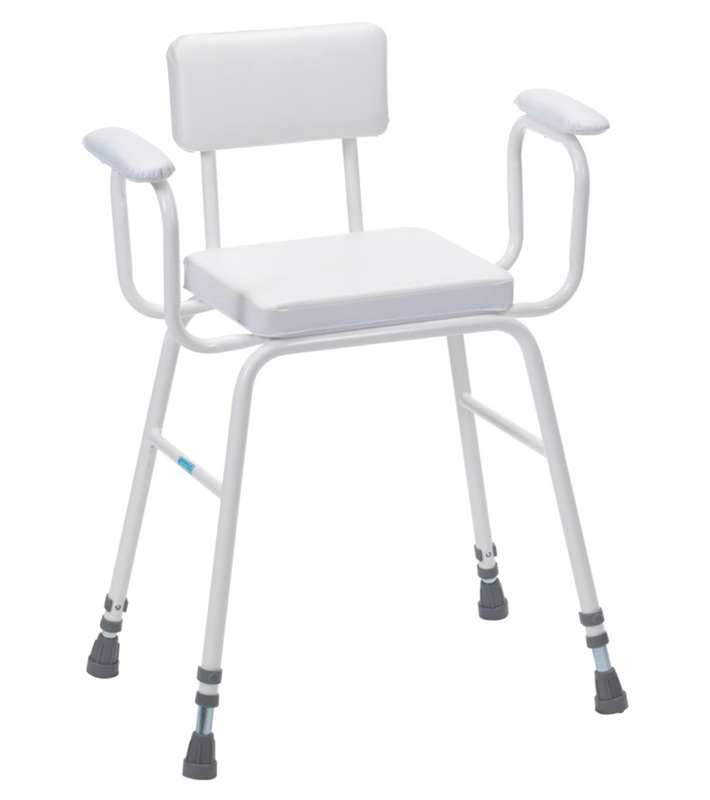 The extension legs are chrome plated and fitted with non-slip ferrules. The front to back bracing struts offer additional strength.